One common issue with the majority of the Chrome devices on the market today is the limitation of built in video outputs or Chrome device expansion for video walls. Devices like the ASUS Chromebit and the AOpen Chromebox Mini are limited to a single HDMI video output. Higher end Chromebox like the AOpen Chromebox Commercial, ASUS Chromebox CN60/62, or the Acer CXI2 have an additional video output in the form of a DisplayPort output which can be connected to the majority of modern displays either directly through the DisplayPort connector or via an adapter to convert the DisplayPort output to HDMI. 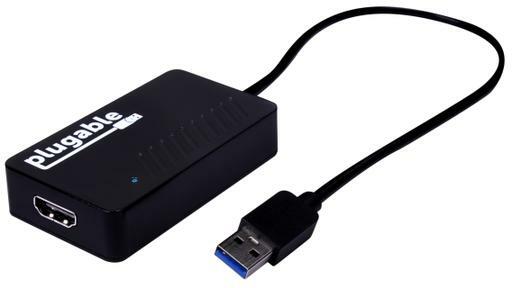 With the advent of USB DisplayLink adapter support in Chrome OS, we’re now able to add more video outputs to a Chromebox where we were limited before. This means that technically single output devices like the Chromebit and AOpen Chromebox Mini can drive more than one monitor. USB display adapter support was still limited, and only allowed multiple displays to be unified in 1 row. This limitation kept us from using the feature except in a few special use cases. Finally in Chrome OS R64, arranging external displays in unified desktop mode was fully implemented. This will allow Chrome OS Kiosk and WebUI apps to arrange and rotate as many displays as the hardware will support. With this feature fully implemented, multi-monitor video walls will be possible without using an additional video wall controller, matrix switch, or monitors with built in video wall functionality. Video wall controllers scale and split a single video input for output to multiple monitors, this results in a loss in quality. Using a Chromebox with the built in video outputs and additional outputs via USB adapters, means that full resolution can be achieved on each monitor. In our tests, we verified the display arrangement feature functions properly in Chrome OS R64 and we were able to create a 2×2 matrix of 1080p monitors. After unifying the four monitors, Chrome recognizes all four monitors as one 3840 x 2160 display that our kiosk app can display on as if it were one monitor. 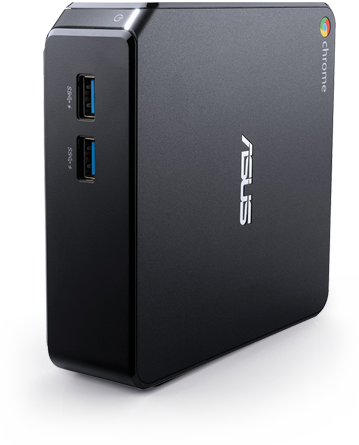 A simple performance test was performed with an ASUS CHROMEBOX2-G015U Chromebox with the i7 processor. Playing a 4K video across the 2×2 video wall resulted in smooth playback. A higher end Chromebox with at least the i3 processor is likely going to be required for optimal playback across 2 or more screens. This method of creating video walls without using an external video wall controller is still in the early stages. Currently, a higher end Chromebox required to run 3 or more displays in a video wall configuration isn’t cheap. As processing power increases and hardware costs continue to decrease we will see video walls become easier and more cost effective to implement for a broader range of clients. Read more about Arreya Chrome integration on our website.